Your child's teacher spends each day developing and challenging your child to reach for the stars. 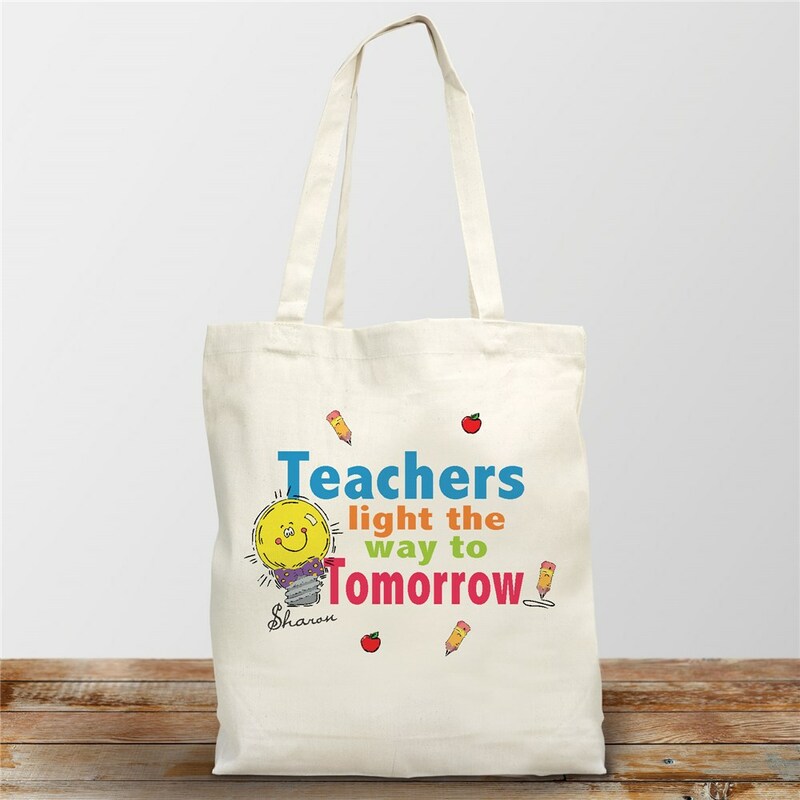 This Personalized Teacher Canvas Tote Bag lets your teacher know they are doing a great job. Personalize your Teacher's Tote Bag with any name.